XRA's mission is to assure access to high-quality, comprehensive, and cost- effective care for all patients of Rhode Island's healthcare providers, hospitals, and communities in a caring and compassionate manner. Oftentimes, with many types of insurances, visiting a freestanding facility like XRA can save you hundreds of dollars. With six easily accessible outpatient locations, XRA is able to provide imaging services to many patients across the state. As a patient, it is your choice where you would like to have your images taken. 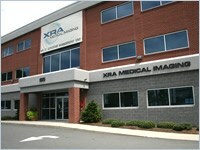 XRA works hard to be the facility you choose to take care of your imaging needs.